Proper operating temperature is key to optimal engine performance. Having a clean and free-flowing radiator is important, but many times one other main component of your muscle car's cooling system is overlooked. 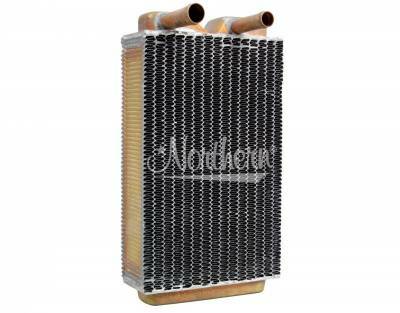 The heater core plays an important role in your car's ability to cool. Besides providing heat in the driving compartment, it also supplies an additional source for the dissipation of heat from your engine. PST's heater cores fit and function like the originals and are copper based with soldered joints for years of trouble free use. Don't take a chance and run the risk of reusing your old and possibly corroded heater core during the restoration of your muscle car. Have peace of mind and use one of PST's heater cores. Core size: 10 1/4" x 6 3/8" x 2 1/2"